Ryan, Seth and Kirsten all pitch in and get Sandy a Galaxy S7 Edge for Father's day! As Sandy puts it "i'm living on the edge of technology now baby". Only problem is he needs to learn how to use the phone and some of the phones most popular apps. Sandy: Now guys is this new phone anything like my Razr 3G?! Now that thing had some class. Seth: Ugh you still have that? Dad flip phones are so not cool. Seth: I'm so getting you a phone case. A few days later Seth signs Sandy up for a summer Twitter workshop class in Newport. 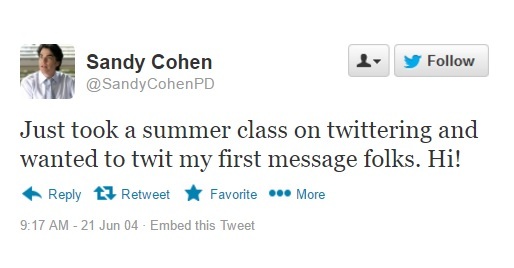 Sandy receives a C in the class but as you can see Sandy is already using what he learned and successfully "twittering".